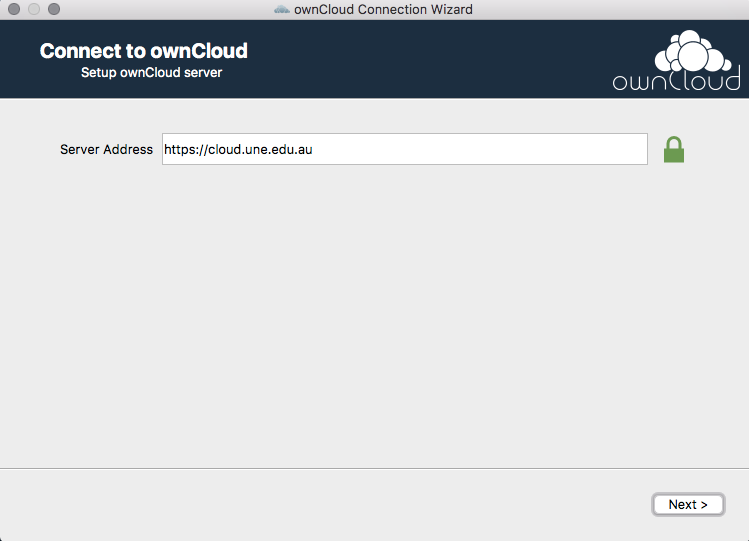 UNE offers a sync client application to enable you to access your data in cloud.UNE. 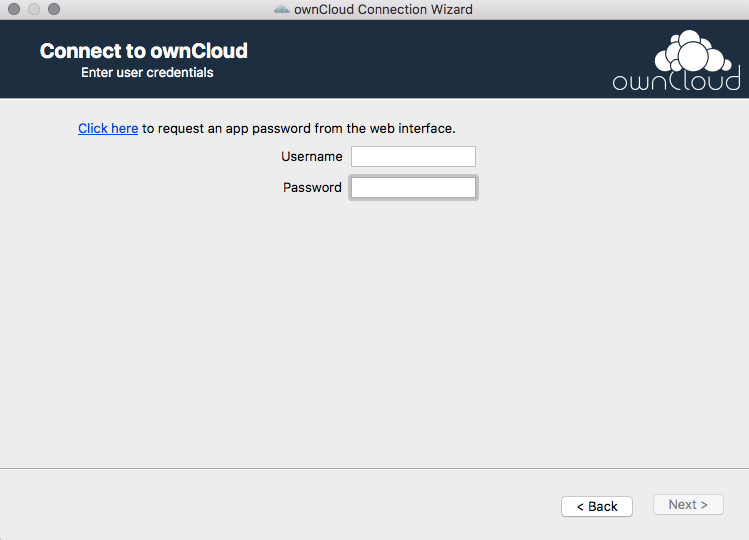 You can choose to synchronise your data in the cloud with your local hard drive. 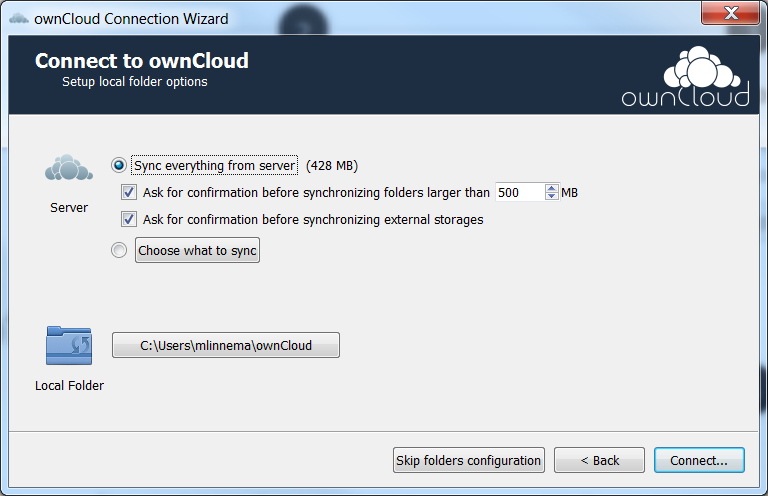 NOTE: Be careful - the sync client will attempt to duplicate all data from the server onto your desktop. So, if you have a large amount of data stored in the cloud, consider whether you want to have all of your cloud.UNE data on your local drive. Enter your set up preferences. At this point you can set a limit on the size of the file to be synced (e.g., 500MB) and/or select which folders and files.